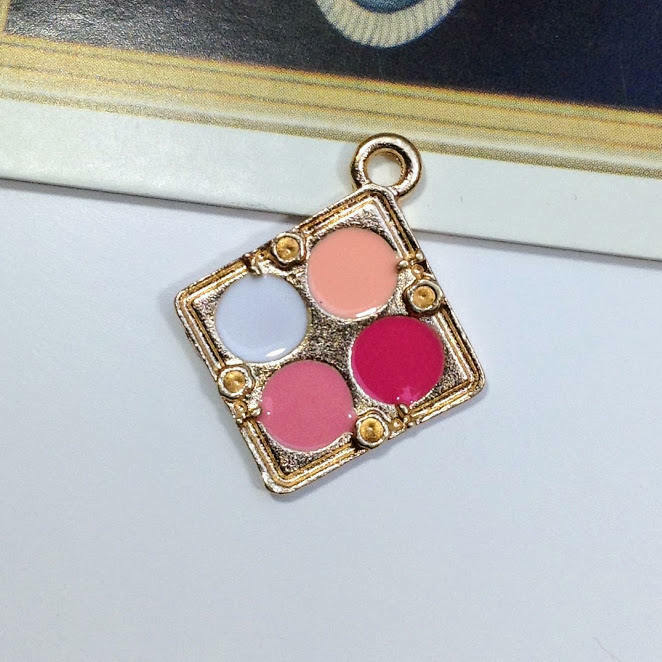 A kitsch make-up palette charm. 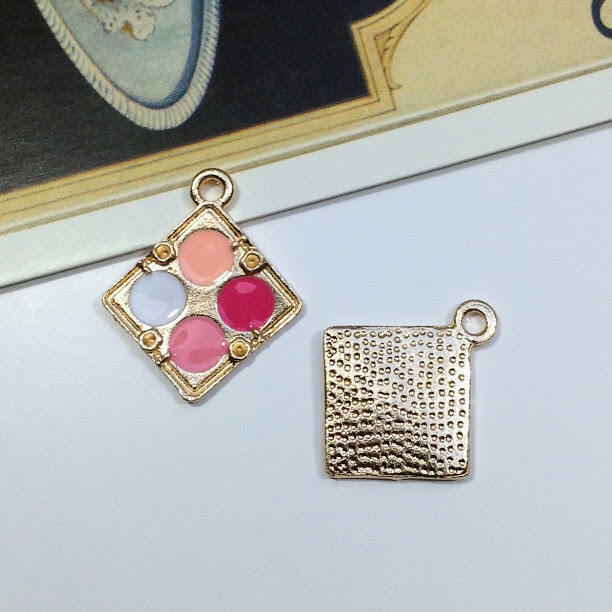 This small gold plated metal charm looks like a palette for lips, eyes or blush and is a good size for using on necklaces, charm bracelets or earrings. 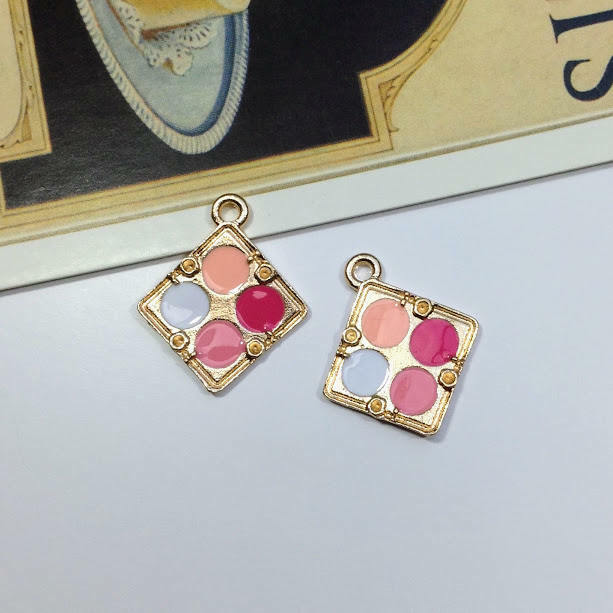 Made from gold plated zinc based alloy which is lead and nickel safe.